It's all still for sale. I put it FS as a lot. The mixer isn't new. I don't know how old, but it is sturdy. That's probably pretty close to it. We were probably out of the homemade stuff. The trailer was always ready to go at a moment's notice. This is what we used for camping. 1954 Mercury trailer. Been from Alaska to Mexico and everywhere in between. My brother and I could have the whole thing set up and the propane light lit in about 10 minutes from when it was parked. Super simple, but man, did we hit some pretty sweet campsites. This picture is from about a month ago. Took the wheels off to get new tires, check the bearings and all that, getting it ready for it's next adventures with SalsaKid. Yep, Evan inherited the trailer. He's pretty stoked. 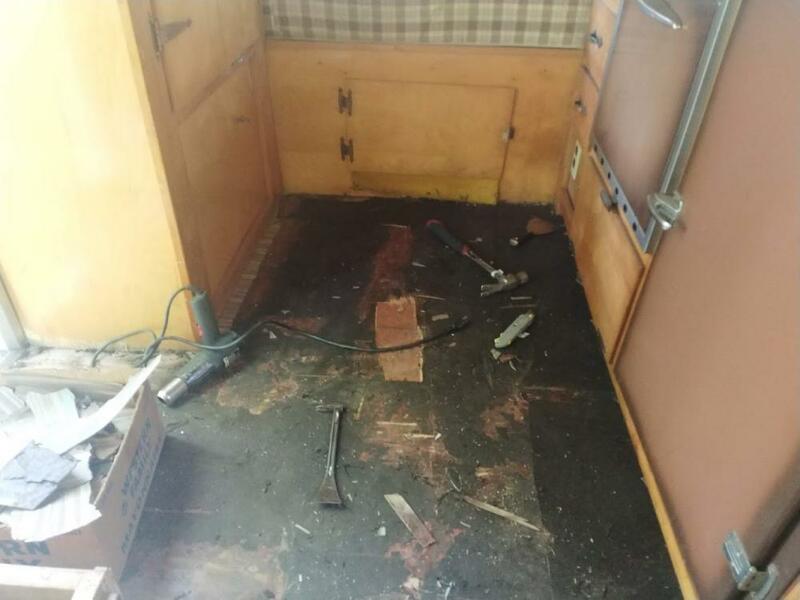 Working on replacing the flooring and stuff. I made a campsite reservation for him at the chile campout in September so he better get it done by then! Here's a couple pics of the inside. 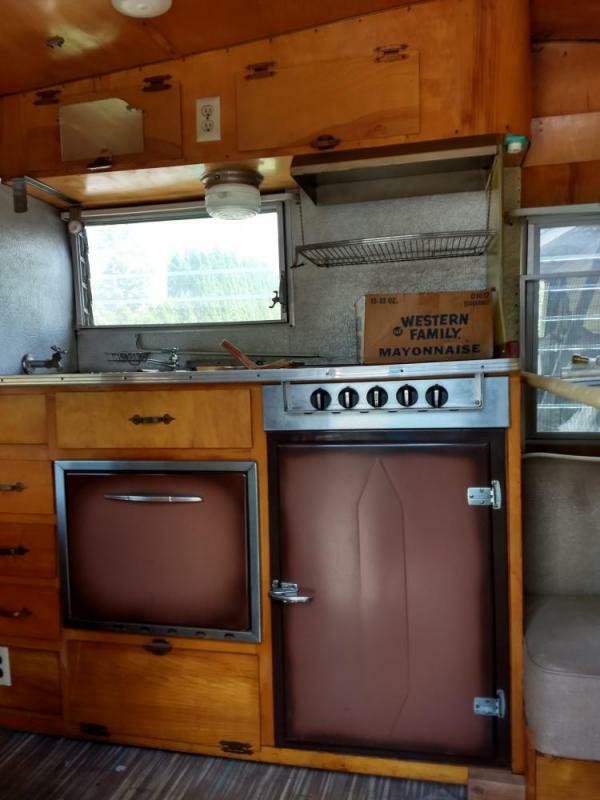 stove top, oven, ICEBOX...It's kinda hard to see, but in the picture of the front, there's an upper bunk that is 2 metal poles with a canvas sling. It sits in a couple brackets like a closet rod, then when you want to put it away, it just rolls up and hangs in another bracket right over the table. OK, enough meandering down memory lane. I'm gonna get warning points for hijacking my own thread. Edited by salsalady, 28 July 2018 - 10:29 PM. You had a 54 mercury??? take out bank loan and do full restore!!! lol, That is an awesome trailer. 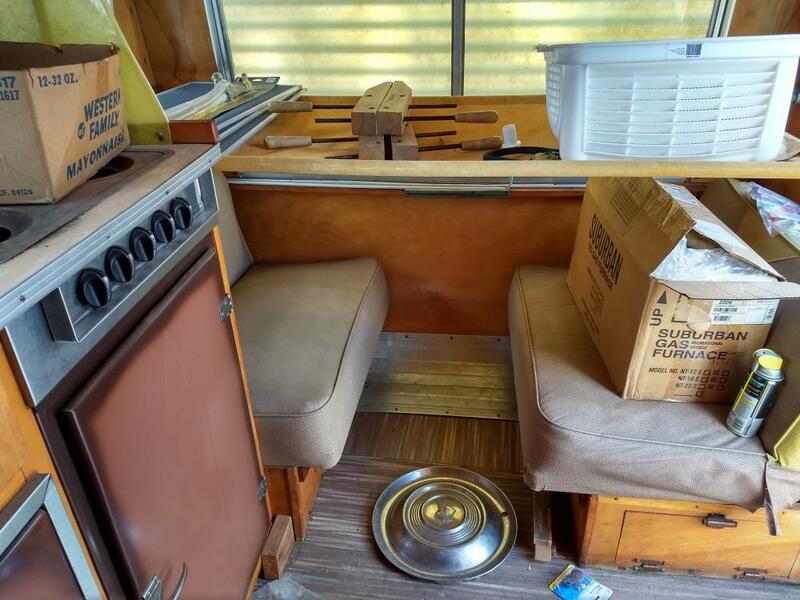 That would make a great series, pimp my travel trailer. On the outside, make it totally original, on the inside make it all digital, with satellite up links, full on 200kw backup generator, induction ovens.. who knows the possibilities!!!! I think we are safe from warning points, boss is probably hanging out with bobby flay, shorerider is out in the surf teaching sharks how to swim, and edmick is probably hunting rats. Fire away!!! 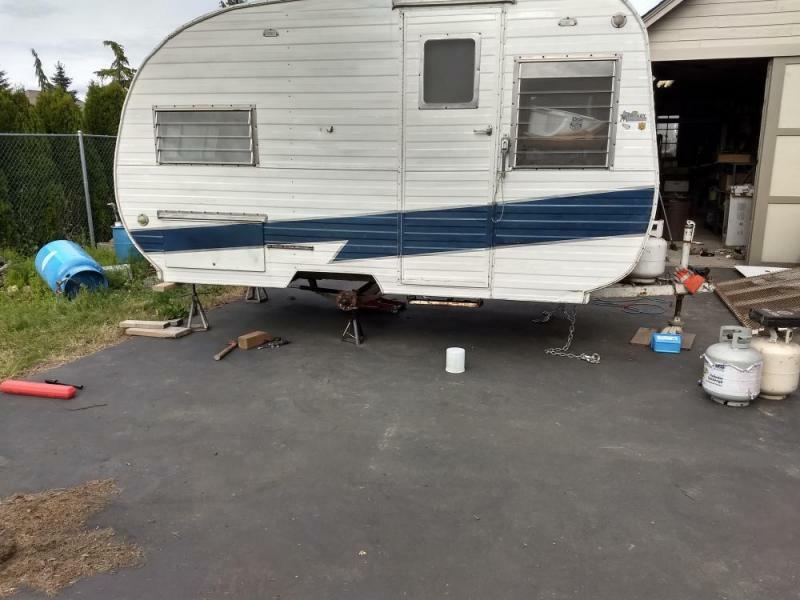 I've seen some blogs of trailer restorations, they can run $15-$20,000, not including a 200kw generator...which would be as big as the trailer itself! Evan is starting with the floor. 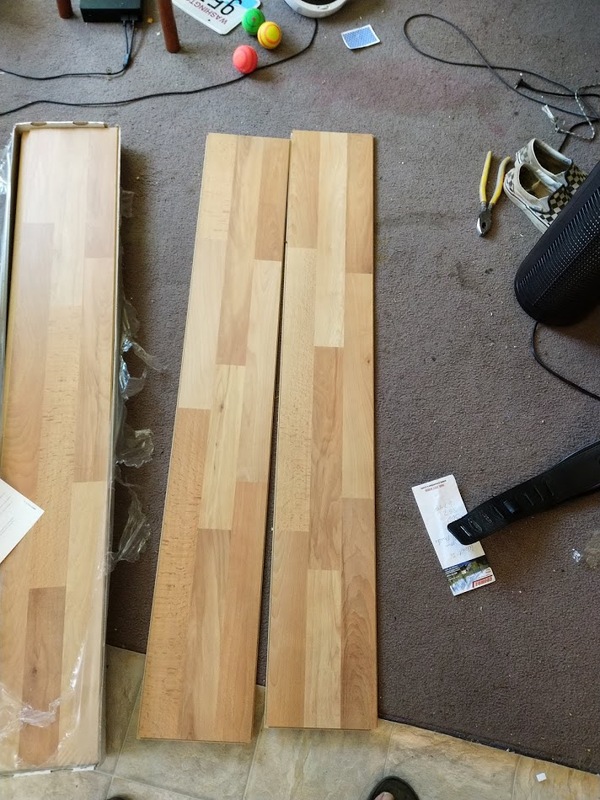 Snaplock laminate for ~$40. You will have to pull the 200kw behind the trailer. unlimited powa!!!! then why worry about the propane tank/stove/oven/heater? To a local guy who got 5 superhot pepper plants from me about 5 years ago. Nice! Hope he enjoys the camper. Sweet! Glad it sold SL, Someone is going to shredding some cabbage tonight! WOOT! 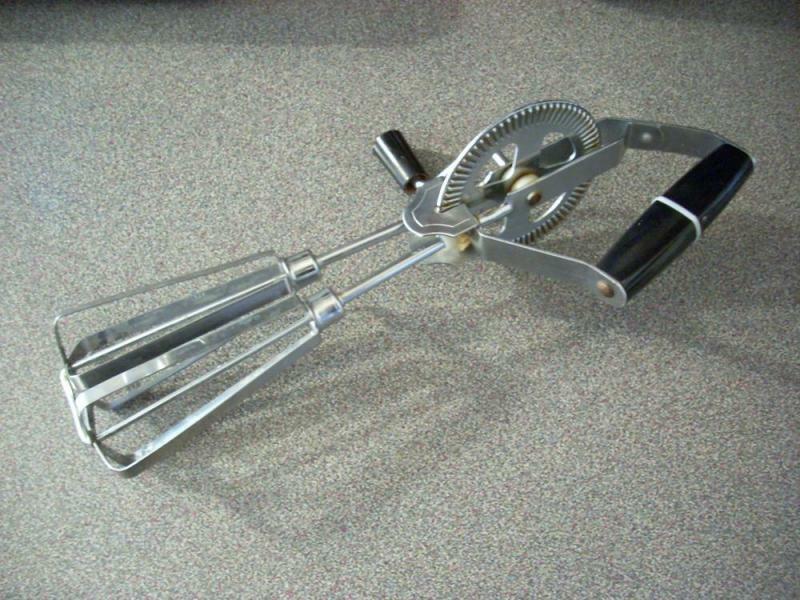 Sl you gonna laugh, I found a hand mixer yesterday for 2.99, antique from Japan. I will post a pic tomorrow, been finding some nifty stuff lately. Cheers! Edited by Voodoo 6, 14 August 2018 - 08:31 PM.